Almost 17 years after the infamous O.J. Simpson murder trial, a member of the prosecution team has claimed that Simpson's defense team manipulated the famous glove that ultimately helped lead to a verdict of not guilty for Simpson. Christopher Darden, a former Los Angeles County deputy district attorney, attended a panel discussion at New York's Pace Law School on Thursday, and during the discussion he expressed the opinion that Simpson's late defense attorney Johnnie Cochran tampered with the glove, according to Reuters. 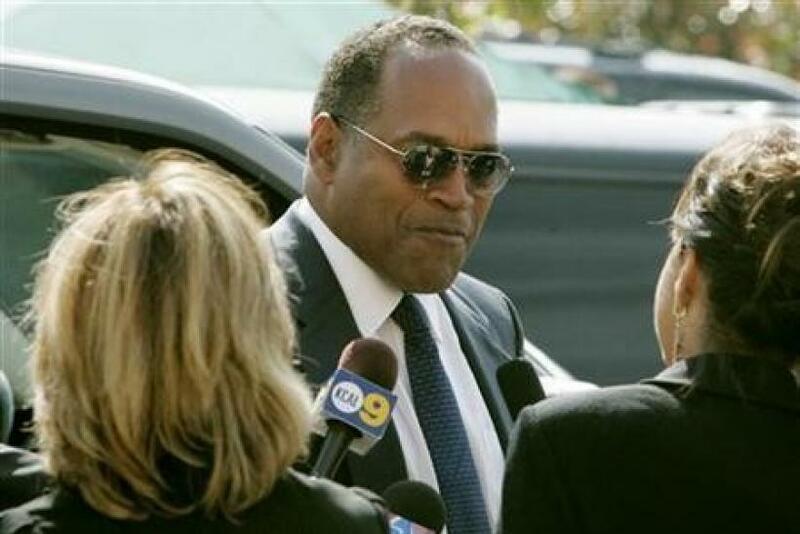 I think Johnnie [Cochran] tore the lining, Darden said. There were some additional tears in the lining so that O.J. 's fingers couldn't go all the way up into the glove. The glove was a key point in the prosecution's attempts to tie Simpson to the double murder of his former wife Nicole Brown Simpson and her friend Ronald Goldman. In the courtroom, Simpson was unable to fit the glove on his hand after several tries, leading to Cochran's famous statement about the glove, If it doesn't fit, you must acquit. This piece of evidence was considered crucial in determining the jury's verdict. Darden said he believes Simpson's defense team somehow gained access to the evidence and used the opportunity to alter the glove. A bailiff told me the defense had it during the lunch hour, Darden said. It's been my suspicion for a long time that the lining has been manipulated. Darden's comments came after statements by Alan Dershowitz, another member of Simpson's defense team, during the same panel discussion. Dershowitz called Darden's attempt to have Simpson try on the glove for the first time in the courtroom the most stupid thing the prosecutor had done. After Darden's comments, Dershowitz responded to the allegations, calling them a total fabrication. According to Dershowitz, The defense doesn't get access to evidence except under controlled circumstances. Dershowitz told Reuters in a follow-up email, Having made the greatest legal blunder of the 20th century, [Darden]'s trying to blame it on the dead man.